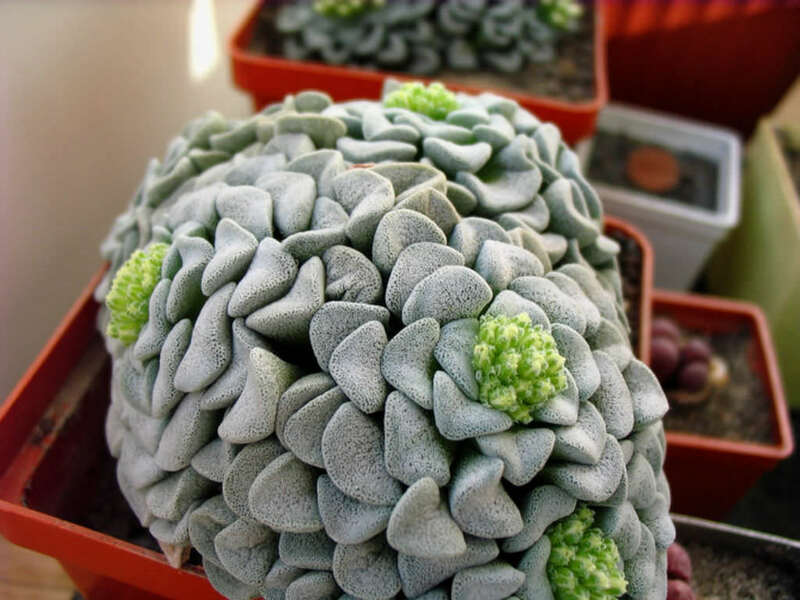 Crassula mesembrianthemopsis is a succulent plant with very low growing rosettes, even sometimes growing partially in the soil. 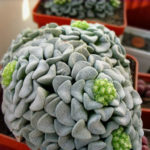 The leaves are almost club shaped, up to 0.8 inches (2 cm) long, up to 0.2 inch (0.5 cm) wide, blue-green in color and with a flat tip. 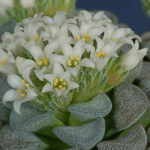 The flowers are small, white in color and up to 2.8 inches (7 cm) long. 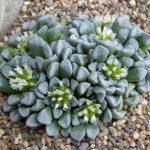 These succulents are generally started by division, offsets or leaf cuttings. 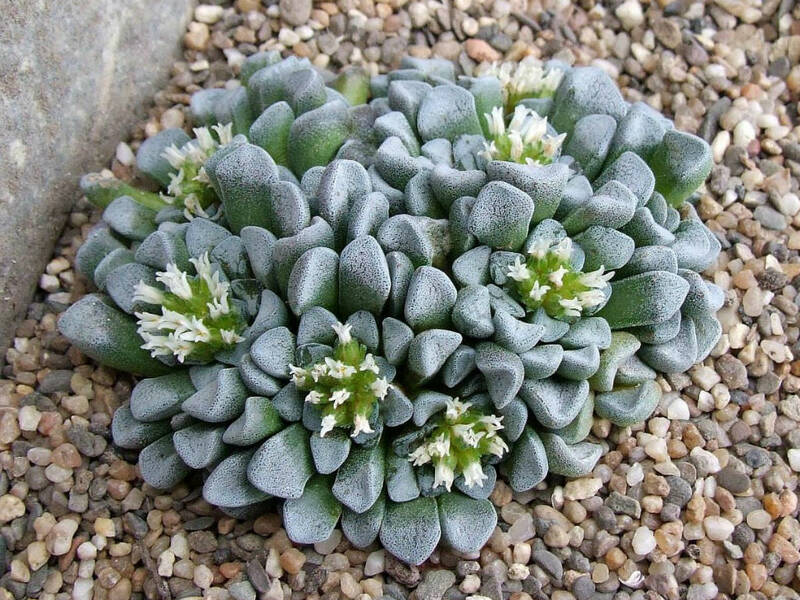 Crassulas can be easily propagated from a single leaf. 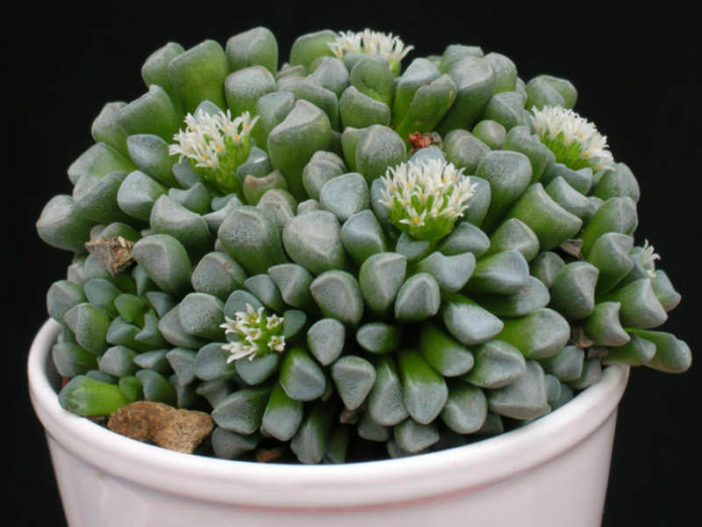 Sprout leaves by placing them into a potting mix for succulents, then covering the dish until they sprout. 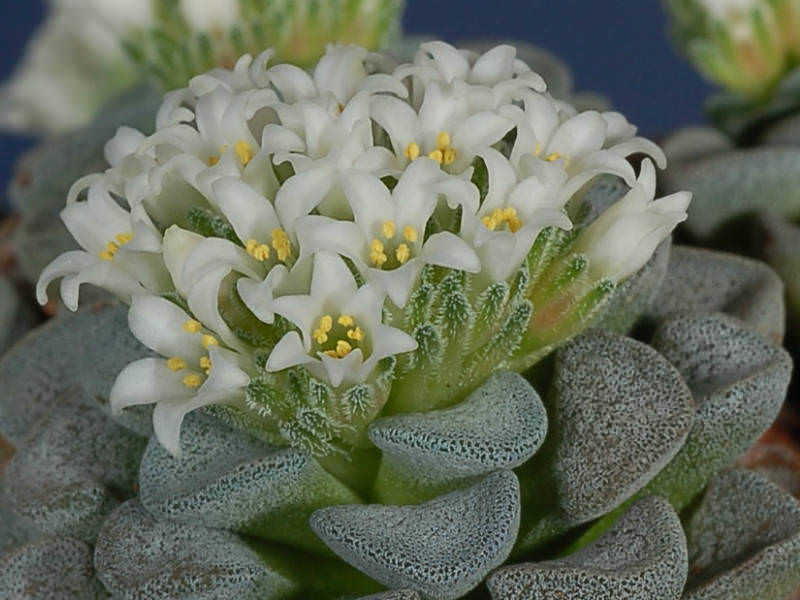 Crassula mesembrianthemopsis is native to South Africa (Namaqualand) and Namibia.